Going out with a group can be sheer mayhem when it comes time to get the drink orders in order. Simplify your sipping by opting for a colossal beverage. Here are 11 large format cocktails perfect for a posse. Farmers & Distillers, Washington, D.C. Whether there are two, four, or six tipplers in your group, the Suffering Candidate can be scaled up to accommodate. Made with Founding Farmers rye whiskey and Founding Farmers gin, it gets a zingy-sweet boost from lemon, ginger, and cane syrup. 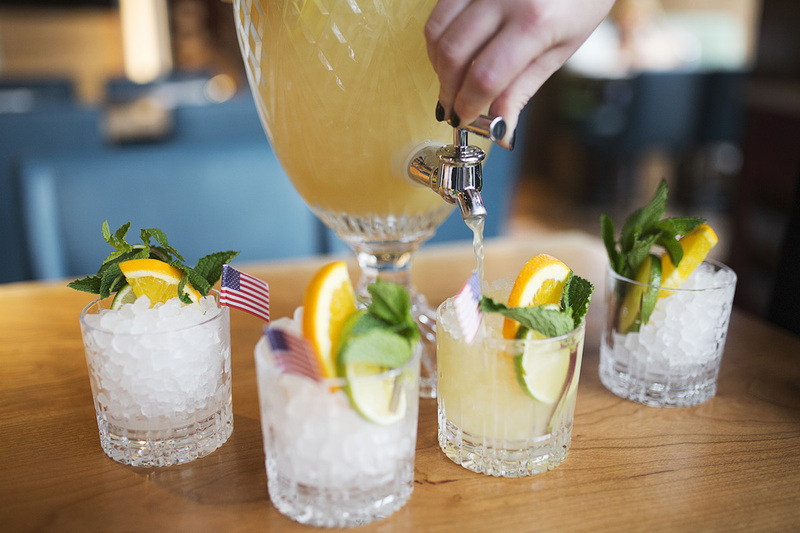 Served over pebbled ice, it’s garnished with candied ginger and fresh mint. Make a reservation at Farmers & Distillers. Meet the Watamelon. And whatta melon it is! Sorry, we couldn’t resist. 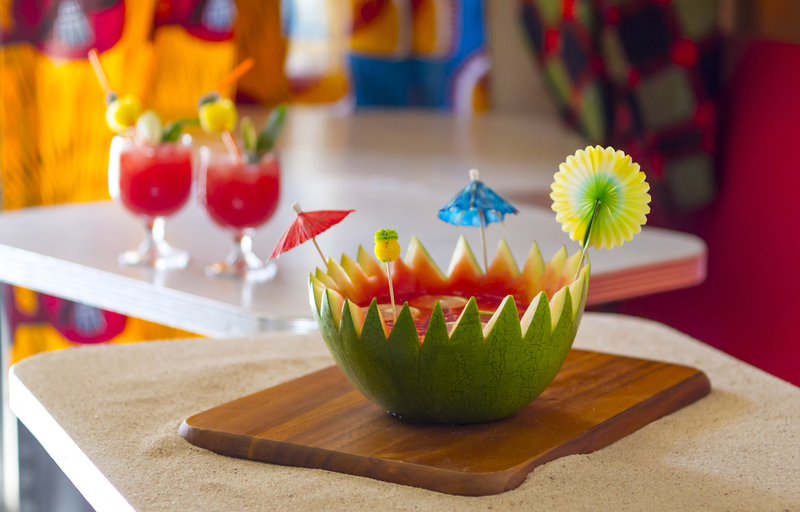 The scooped out fruit is filled with fresh watermelon juice, Starr African rum, mint, and lime and serves up to five lucky souls. Make a reservation at Miss Lily’s. This Zombie cocktail is en fuego. No, really. It’s served on fire. 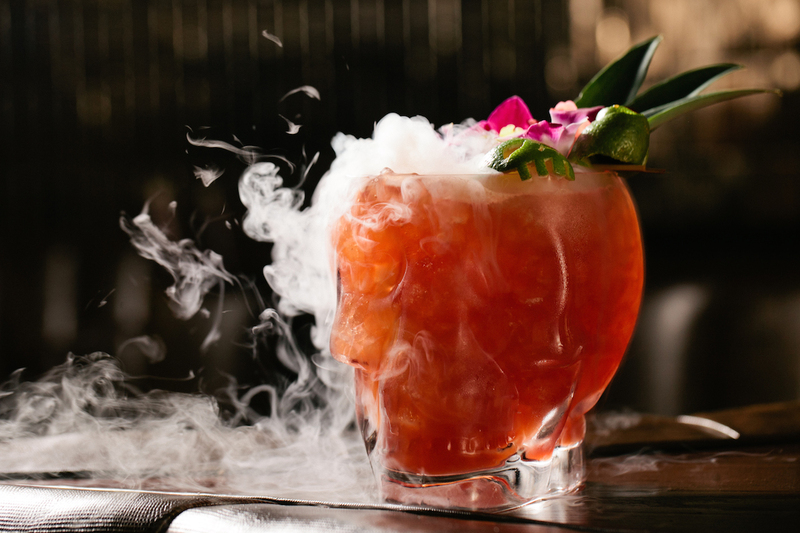 Inside the smoking skull drinkers find a potent mixture of four rums, lime juice, grapefruit juice, pomegranate juice, and a touch of cinnamon. 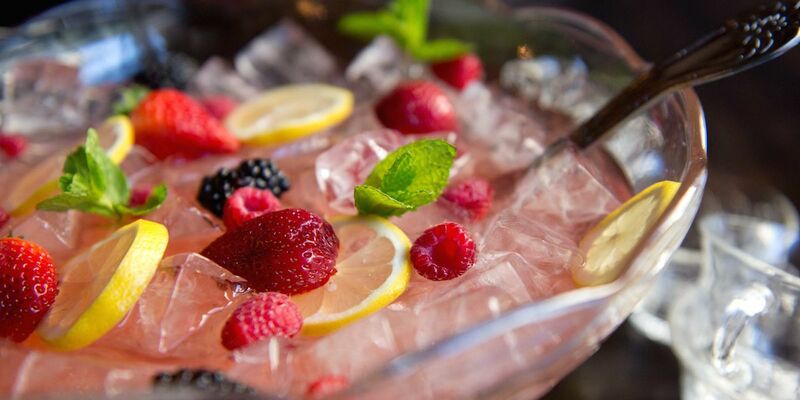 Make a reservation at Three Dots and a Dash. Kneel down and pay your respects to Alkaka the Fierce. This godly tiki tipple is made with chai-infused bourbon, aged and dark rum, pimento dram, and orgeat. Absolutely worthy of your fealty (and the ensuing hangover if you attempt to drink it alone). 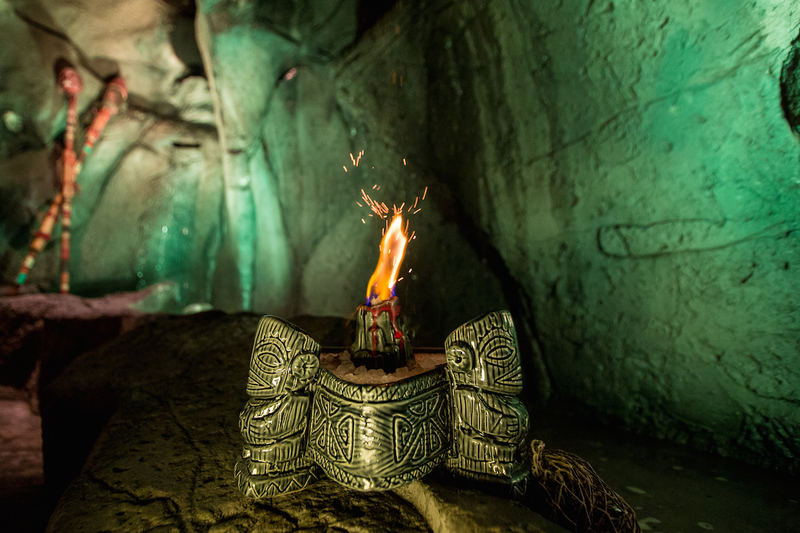 Make a reservation at False Idol. Any cocktail that comes with a rubber ducky – especially one named Donald Palmer – is a winner in our book. 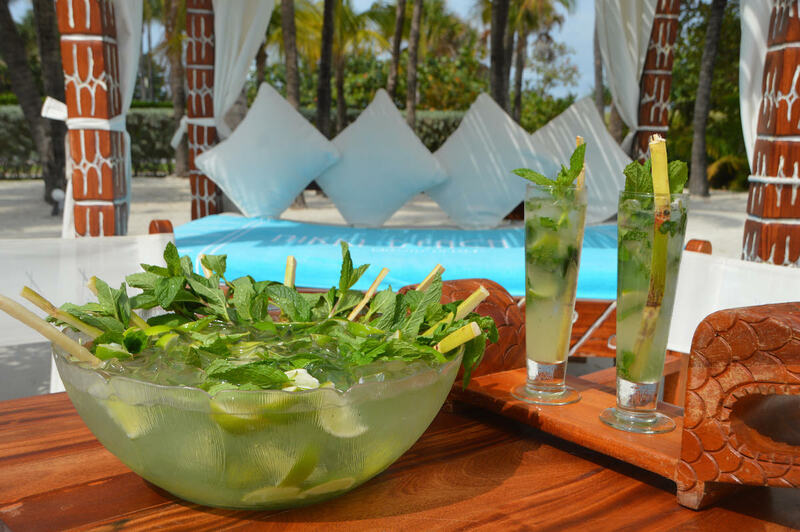 Intended for up to six guests, the summery sipper is made with rum, pisco, lime juice, and cucumber-basil puree. And, yes, you get to keep the rubber ducky. Make a reservation at Palm House. 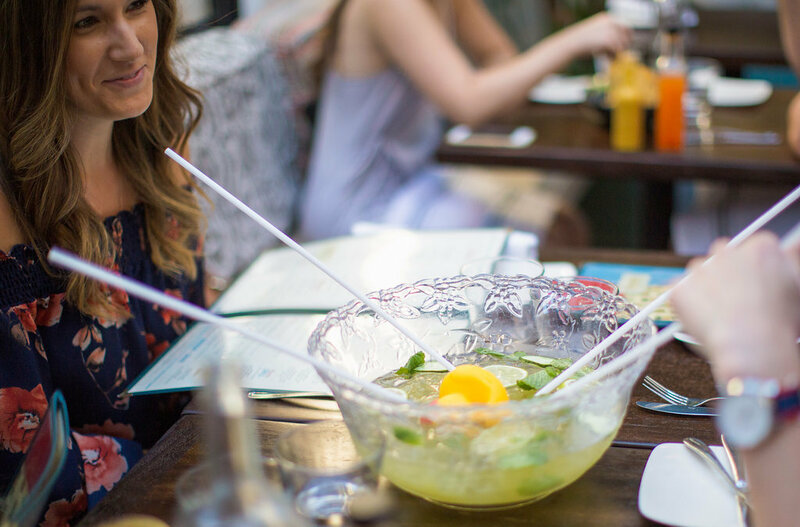 The Mojito Bowl costs $350, but it’s a good investment for groups. That’s because it includes half a bottle of white rum and another half a bottle of lemon rum. For flavor, there’s freshly muddled mint, lime, and cane sugar — plus lemon-lime soda. Make a reservation at Nikki Beach. Looking to cool the gang during summer madness? This will do the trick nicely. 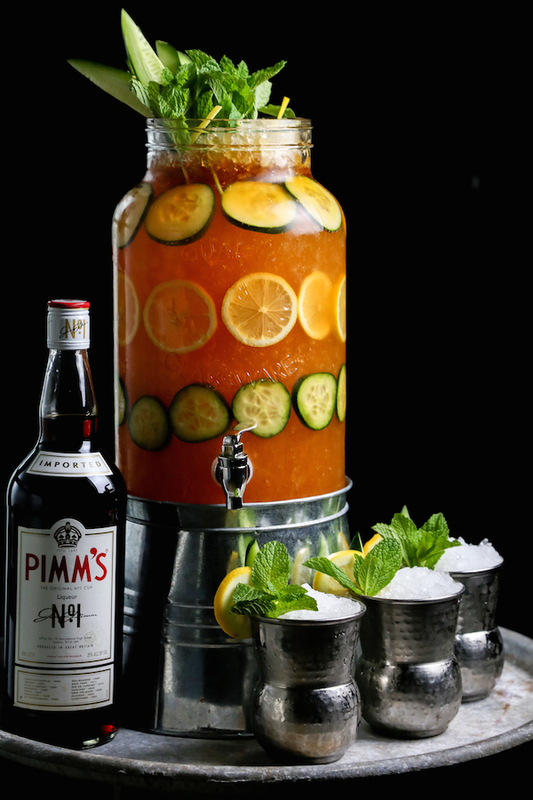 Forged from Ford’s gin, Pimm’s Cup, blood orange juice, and cucumbers, it’s cause for celebration. Make a reservation at Borgne. We are Brass Monkey junkies. 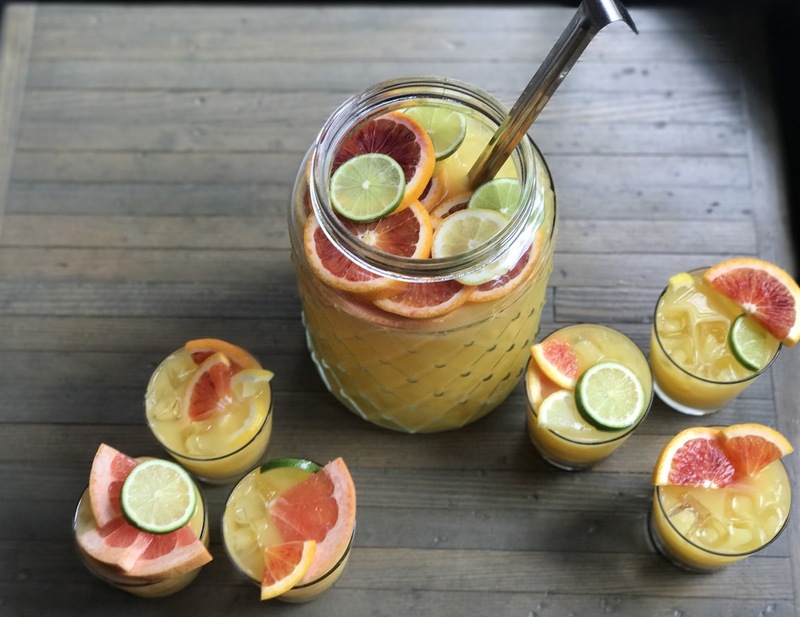 The shareable punch – which serves up to eight – features Stolen smoked rum, El Dorado 151 rum, fresh orange juice, and grilled oranges. It arrives with the guest’s choice of a pack of Miller High Life on ice or three bottles of prosecco. Make a reservation at Speedy Romeo. Pineapples are a traditional symbol of hospitality. And what could be more hospitable than kegged cocktails served in a giant gold pineapple? Our favorite is the Brown Derby featuring Wild Turkey bourbon, grapefruit juice, honey, and thyme. Make a reservation at Graffiato. Our nickname for the Lipstick Fizz is the Drunk Shirley Temple. 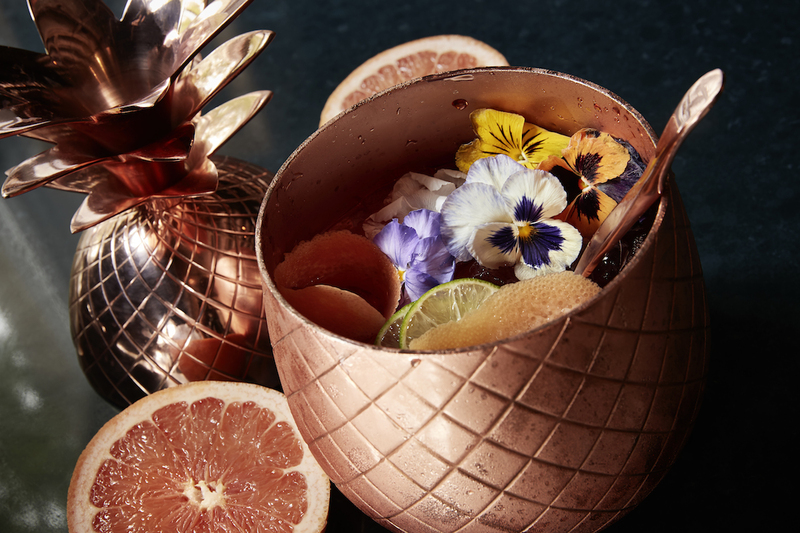 That’s because housemade grenadine adds sweetness to this fizzy punchbowl powered by Bulldog gin. Enough for seven lucky sippers. Make a reservation at Crimson & Rye. Got wood? If you order the bright, fruity Michigan Log cocktail, you do. 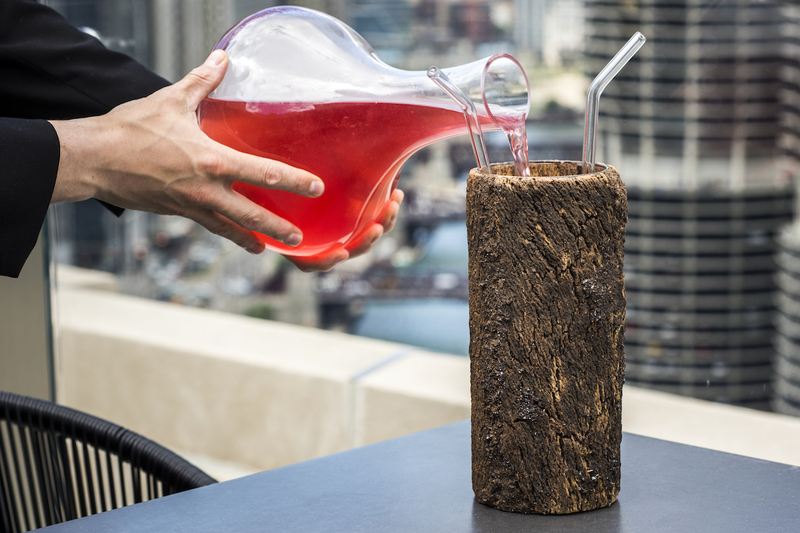 Arriving in a stump-shaped decanter, it’s made with smoked Bulleit rye, blueberry syrup, Amaro Meletti, and hard cider. Make a reservation at LondonHouse. What restaurant serves your favorite large format cocktails? Let us know here or on Facebook, G+, Instagram, Pinterest, or Twitter. And, remember to snap + share your #dishpics with us on Instagram for a chance to win in our weekly giveaway. Photo credits: Michael Condran (Miss Lily’s); Mark Gudaitis (Palm House); Jeff Marini (3 Dots); Randy Schmidt (Borgne). Look us “The Diver” at silky o’ Sullivan’s on Beale Street in Memphis tn. Its a giant bucket filled with mostly every kind of liquor plus beer and wine. Its a super liquor drink. And I believe you must have at least 4-6 people in your group to order it. I’m not sure. But I was honestly surprised it didn’t make the lost because of all the liquor and different kinds of alcohol in it. Just a suggestion . The Scorpion Bowl at Revolucion in Fountain Square, Indianapolis is to die for.